Delaware Valley OBGYN and Infertility Group. Ursula Miguel has worked in the field of maternity care for nearly two decades as a nurse, childbirth and parenting educator, breast feeding counselor and most recently as a midwife. She continues to be involved in midwife education by precepting students from the University of Pennsylvania. She holds a nursing degree from the College of New Jersey, and a masters and certification as a nurse midwife from SUNY- Downstate. 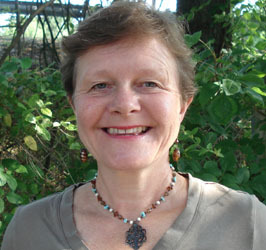 Her professional career has included positions in hospitals, a free-standing childbirth center and home birth settings. Since joining our group, and becoming the leader of our midwives, Ursula has been a tireless advocate for the midwifery model of care. She has special interests in non-pharmacological pain relief for labor, hydrotherapy, comfort measures for posterior labor, optimal fetal positioning, and VBAC births. Ursula has 4 grown children and enjoys being outdoors and gardening. Peggy received her RN at the Westchester School of Nursing in Valhalla, New York in 1976. She worked as a nurse for several years in different areas of medicine while raising her children but later returned for her midwifery certification at the University of Medicine & Dentistry (now Rutgers University) of New Jersey in 1998. After 4 years practicing in Florida, Peggy has returned to our practice. She now divides her professional time between midwifery and fertility. 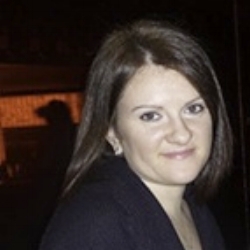 Yelena completed her nursing degree at Binghamton University. After working as an RN on a surgical unit, she returned to school and received her masters in midwifery from New York University. Following graduation she joined the National Heath service corps where she served as a nurse midwife in a underserved community, and became fluent in Spanish. She then spent 6 years at a hospital owned private practice serving one of the largest counties in New Jersey. Yelena has 2 children that were born with the help and support of midwives.